Utah Royals defender Kelly O’Hara underwent arthroscopic surgery Tuesday to repair “loose bodies” in her right ankle, USA Soccer announced. She is expected to miss 8-12 weeks. 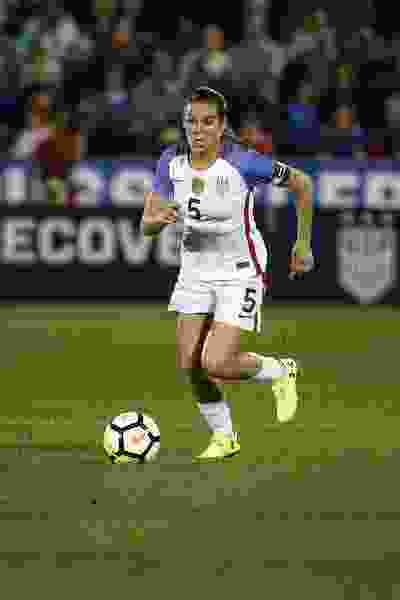 O’Hara recently played four games for the U.S. Women’s National Team that qualified for the Women’s World Cup after winning all four of its qualifying matches in the Concacaf Women’s Championship. Ohara’s recovery timeline will cause her to miss the U.S. team’s trip Europe in November for its final games of the season.